Edited to add: I posted this blog entry just hours before the horrific attack in Nice took place. What has been a joyous day in France turned at 22h30 into a traumatising nightmare, when brutal and senseless violence and death were inflicted on a huge number of innocent people. My thoughts are with the victims and their families. Across France, Bastille Day is greeted with red, white and blue flags, and with fireworks and fêtes the night before. There could not be a better occasion to play with the new sales items I found in Paris last week.. the pretty dresses by Maje (still available here) work beautifully worn as a tunic as well, and the simple but elegant thong sandals by Chanel have a perfect heel, which makes them so comfortable to wear. Red and blue are definitely the colors of the week, and my fun and gorgeous feather bag charms by the talented LuxeLeatherCrafts arrived in time to join the party! 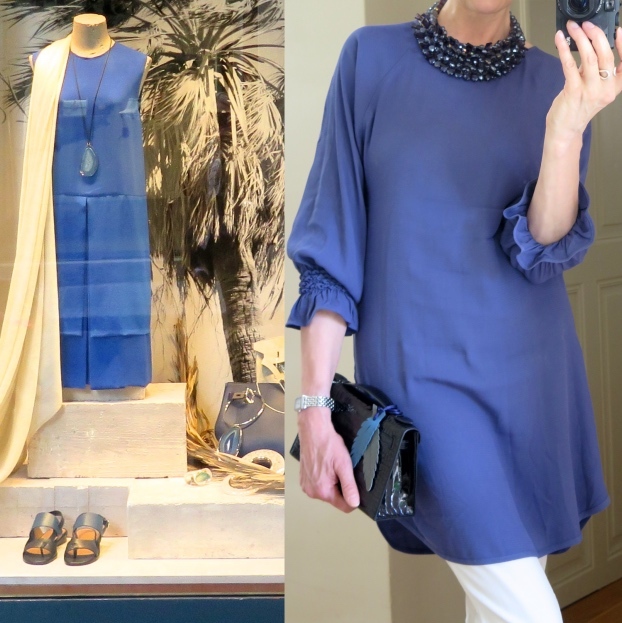 Continuing to draw inspiration from the current Hermès windows by teaming my blue sales dress with a new MaiTai Collection statement piece.. a Chrystal Cluster necklace in Charcoal Blue (also comes in Lavender Grey and Cinnamon Rose). My initial thought was to to introduce the necklaces for the festive season, but having tried them with various summer capsule pieces, I found that they are fabulous for all year round. One mustn't forget that Rossinis are the perfect cocktail for this time of year, whether it is Bastille Day or not (for a recipe please click here)! Please note that my online shop is on a summer break from Jul 18 - Aug 12, 2016. Well, whether warm or cool, you look marvelous. 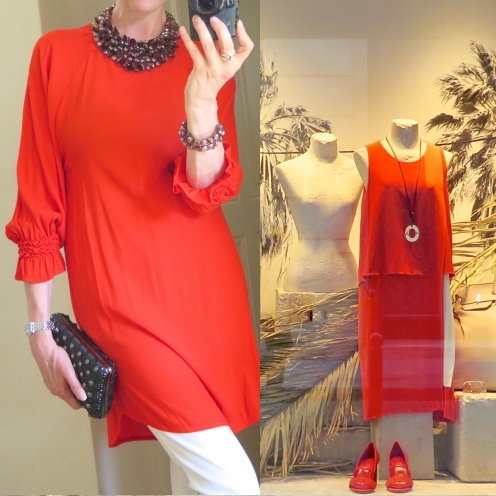 Your little sale find Maje dresses/tunics are every bit as stylish as their Hermès cousins, and of course, the Chanel sandals are elegant - they're Chanel after all. How nice that Chanel has done a sandal with such a wearable heel. One can be chic and avoid a body cast at the same time! The new bijoux are irresistible, and believe me, I did try to resist. I couldn't though - I'm weak! My order has been placed. It's the mysterious charcoal blue necklace for me. 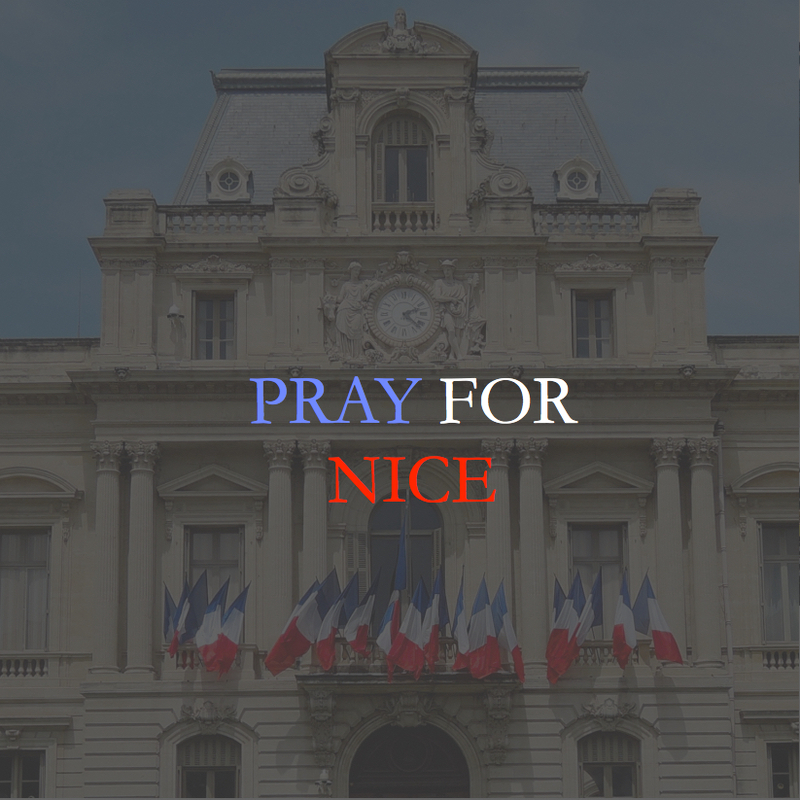 Heartfelt condolences to the citizens of Nice and to France, which has suffered yet again. I don't know what else to say except that my heart aches for this world we are all forced to live in. MT, travel safely. Courage to us all. Oh my darling Jerrine, how happy and carefree France was when you posted your first comment. Who could have imagined the horrendous events that happened just hours later. It is unbelievably shocking and sad, there are no words for it. Much love to you. MT, I know; I know. Who would have thought that just after a few hours of innocently chatting about the merits of a Chanel sandal heel, the world would turn dark and ugly once again. And, I just read that 10 children are among the 84 victims. The CNN headline blares, "an unspeakable act." Yes, I'd say that's accurate. They got it right this time. PS - I immediately thought of your lovely friend, Swan. Is she okay? Have you heard from her? Fifi, your wise words certainly resonate - friendships, even of the cyber variety, are crucial during these sad, tragic times. Fifi, your reply made me a little teary. It is our shared interests that bring us together and give us strength. 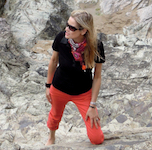 Jerrine, your words are what we all need to remember: "Courage to us all." Yes, Greta, we must go forward with courage and lead our best lives, complete with joy, love and a bit of wonder. If we don't, terror wins. We cannot allow that. I have to admit that I am indulging in a bit of "faux courage" tonight, though - a glass or two of good red wine. I think I deserve it. I think we all deserve it. 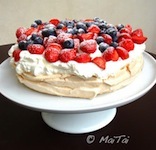 :-) Thanks for the Bastille Day inspiration! Congratulations on your pretty Chanel sandals - they're such a classic as is your new jewelry selection. You, the French people and everyone who suffers from the terror worldwide are in my thoughts. Thank you so much for your thoughtful comment, dearest Katja. Your compassionate words are full of truth, and I join you in the thoughts for the French people and for those whose lives have been touched by the horrors of terror. MaiTai, you and all the people of France are in my thoughts and prayers today after the horrible attack in Nice. I am joining you in your thoughts, dearest Pam. My heart goes out to France with the terror attacks at Nice on Bastille Day. Mai Tai, I hope you and yours are safe this morning. Thank you, dearest Greta. We are all united in our grief and shock. Thank you for posting and letting us know that you and your family are safe. Sending love and condolences from Dallas, TX, USA. Sending heartfelt condolences to France following this latest, horrific attack. Really have no words as violence continues across the world. You were in my prayers last night. 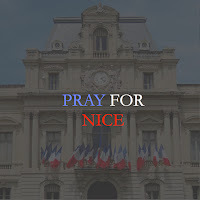 I weep for Nice. La France et l'Etats des Unis - toujours fidele. Our prayers with you. So so tragic. Words do not come easy today and the mind is .... somehow empty and the heart heavy. It beggars believe what is happening in the world. There were many children amongst the dead too. The world has gone mad. Thoughts and prayers with the victims and their families. I could hardly believe the news yesterday evening before I went to bed. Unfortunately when I woke up I realised that it hadn't been a nightmare, it was real. My thoughts go to the families of the victims and to all my French friends and the French people, to you and to other friends who live im France. 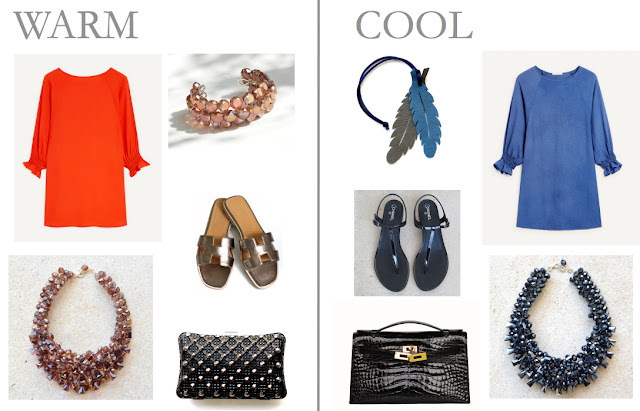 Love your outifts, your new dresses and your new jewellery pieces. That's lovely, Laura. Thank you. Sending my heartfelt condolences to all the people of Nice and to France. There are no words that can express what has happened. The brutal violence and the tragic loss of so many innocent lives is incomprehensible. Please stay safe everyone. With prayers for all the victims and their families, for France and for the world. Love and prayers to France.